MINI Cooper Acccessories + MINI Cooper Parts :: OutMotoring.com MINI Blog :: MINI Accessories :: Cupholder Inserts for your MINI? Cupholder Inserts for your MINI? 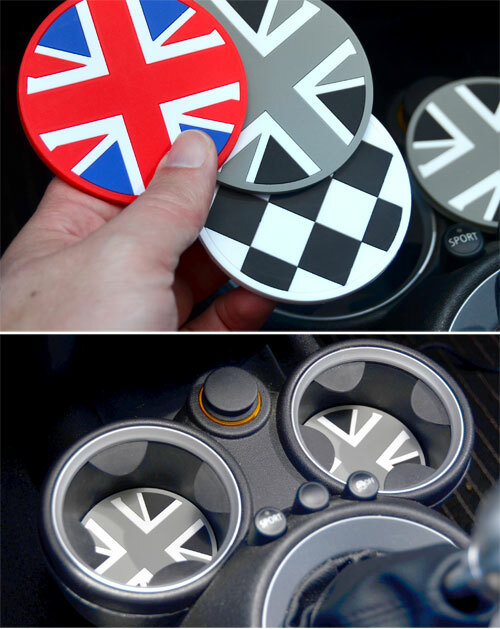 Just when you thought you had everything available to make your MINI the most unique car on the planet we bring you these MINI cupholder inserts. Not only do they look good but they may actually make your MINI faster. That last bit may be slightly incorrect but you never know. Buy 2 and drop them in your MINI cupholders and drive into the sunset. Comments on Cupholder Inserts for your MINI?